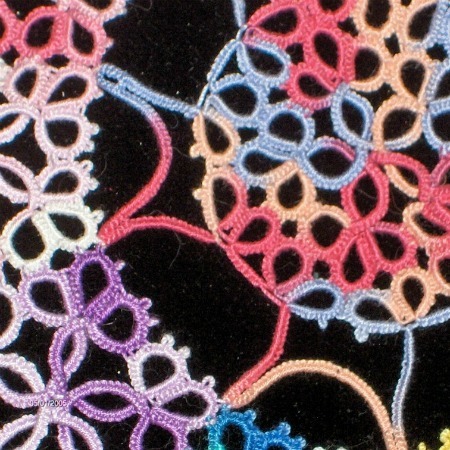 Many patterns double back on themselves so that you need to connect the very end to the very beginning. 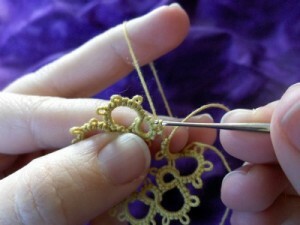 To make this final join, you can use a folded join, or you can use this trick to avoid the folded join. Now your first and last rings are joined together! No folded join required! You mean just turn it over – so it appears as the regular, easy join type of join? F/S B/S tat and it is that easy? Really?? Fox, don’t turn it over, just rotate it around (like rotating on the face of a clock or a turntable) so that the ring you are working on is essentially upside down. 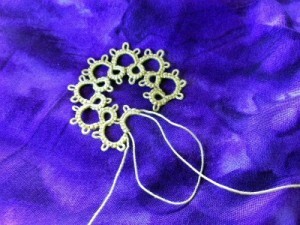 Then line up the picot next to it and join as normal. Tat’s the way I do it!!!! Never could get the ‘hang’ of that silly folded join!!! Can you believe I cannot visualize that? I understand it conceptually, but it does not translate spatially in my brain… I will have to try it! OMG! 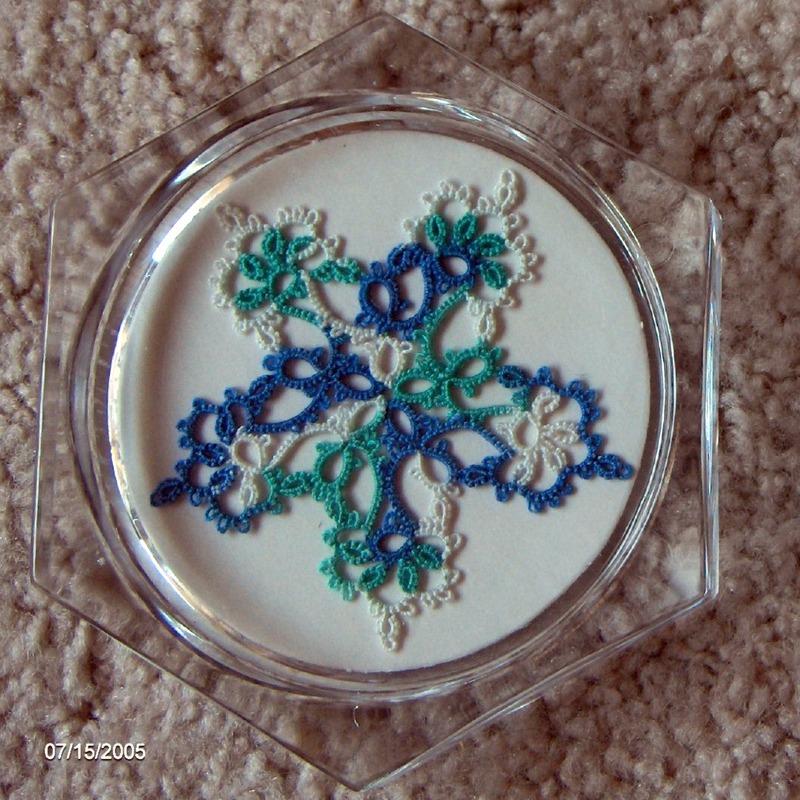 I just now tried it with my Glass Mat Doily……..no twisted picot! It was THAT easy! OMG! Thank you, thank you! 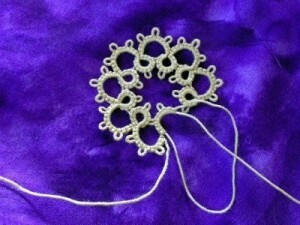 Linda, just finished my doily and this join worked for the chains, too! Gosh, I’m so happy I learned this tonight! I mean, Heather…..not Linda! Oops! First of all, thank you for the instructions for the non-folded join! I’m hoping it’ll make finishing my projects easier! 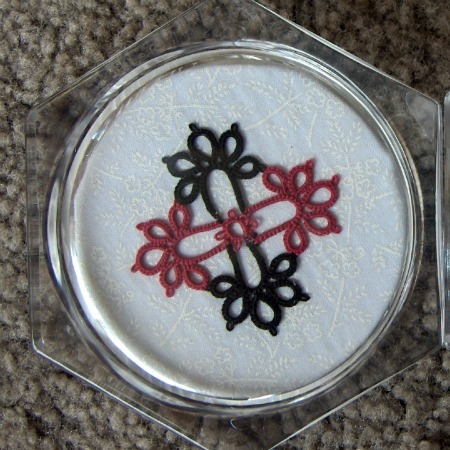 Next, Could you please recommend what your technique is to stiffen your finished tatted pieces? I have tried a number of things, from 50/50 glue and water, to liquid starch, to sugar-water solution, to a stiffener called Aileen’s. Nothing has really worked for me. 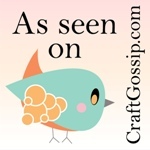 What could you recommend? Have you ever heard of a tatted Wedding Dress? A friend of mine made one it is absolutely beautifull! She had no pattern she had to think it out for herself. I really really wish you would make video #15 showing the simplicity of this technique. Too many people are not able to grasp how simple it is and can not follow it because they add steps. 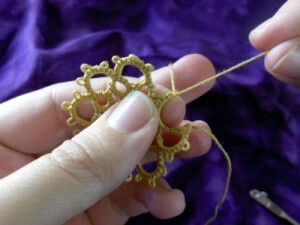 Please consider it, it would probably be a minute video, from when you stop tatting, turn it and join, and then resume tatting! Thank you so much for this very easy technique, as well as all your other lessons.